Discussion in 'Anything Goes' started by coblj003, Jan 3, 2018. So let's see, new year, new Star Wars, time for a new Pinter thread. It's here to share anything you find important, interesting, or worthwhile, but without the hassle of creating a ton of new threads that take up forum space. To start off, I saw this awesome clip for a Haunted Mansion pitch that didn't take off by artist Shannon Tindle(Kubo and the Two Strings). He had some character designs of the hitchhikers ghosts but it looks like he deleted the tweet at Disney's discretion. Let's take it as a sign it might take off again.. I can't believe this thread has been around for as long as it has and nobody has posted anything in it ... . So I finally got to see Coco at work today, I have to say I was expecting it to be great after seeing the reviews and wasn't dissapointed. 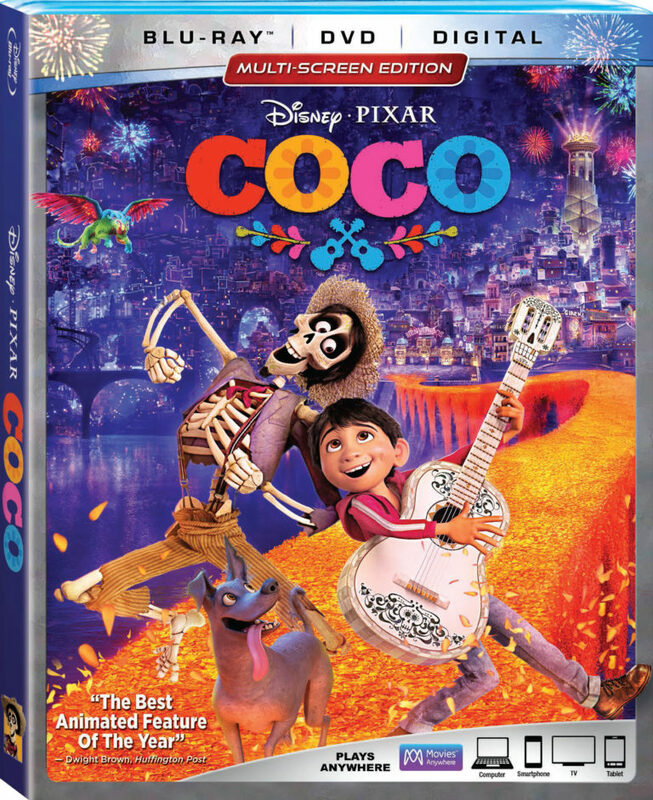 This is a nitpick, but I have to say I don't think I care for Disney rebranding the Bluray/DVD/Digital copies "Multi-Screen Edition." It's a big red box right up at the top center of Sleeve/Case and really stands out from previous just having the standard inconspicuous bluray/DVD/digital at the top; it adds nothing else to what was already included in previous releases. It's also plastered on the Walt Disney Signature Release of Lady and the Tramp and Thor: Ragnorok Blurays. "Terms of usage," I think. The point of this thread is that there is no point. Just be irrelevant, have fun posting, it doesn't matter. The point of this thread is to have fun. ... or is there no point at all? Discuss amongst yourselves, there may or may not be a quiz on this ... .
... decided to make a shooting threat against my husband's school (he's a teacher) on social media. My kids' school is right next door, so I had to explain to them why they can't go outside for recess today. Pissed beyond belief right now to avoid being scared and depressed. What the hell is wrong with people? Thank you. My husband says most of the students aren't there. Can't say I blame them all things considered. I second this 'To Infinity and Beyond' If you ever figure out what is wrong with people, do share it; I'd dearly love to know ... . Thanks. I usually don't stress about such things too much, but with everything that's been going on? It's the modern equivalent of shouting "Fire!" in a crowded theater. Boo, sickness! Take care of yourself! And look at that. I figured out how to quote multiple posts. Go, me. DeputyDonald, coblj003, TheMickeyMouseRules and 5 others like this.